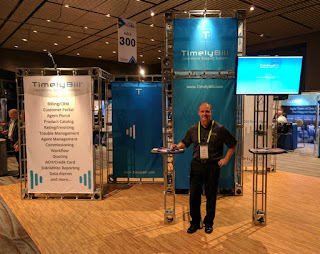 TimelyBill Expands Sales Team with Appointment of Luke Crissy to Director of SalesHuntersville, NC - TimelyBill announced today the appointment of Luke Crissy to Director of Sales. In this position, Mr. Crissy will be responsible for managing current sales activities and customer relationships. He will work closely with marketing to cultivate new opportunities by leveraging the horsepower and efficiency of the TimelyBill OSS. With over 25 years of experience in telecommunications, Luke brings an understanding of communications solutions for business and service providers alike. Prior to TimelyBill, he has had extensive carrier interaction as an enterprise customer and consultant, along with participating in service delivery side as a CLEC and Managed Service Provider. These unique experiences have bolstered his knowledge and understanding about the entire life cycle from product design, delivery and ongoing support that is required for today’s service provider to remain relevant.